That is not true. I have had helium balloons. They never caught fire. Except if you bring a torch to it. Things are worst with Neptune, as there is no "protective" matter around the so-called Neptune. Any incidental event could let it on fire immediately, it is obvious that due to all the events happening in the cosmos, such thing would already have happened with such an atmosphere. No, the balloon would just pop. In order for something to "ignite", an exothermic reaction must occur. What could hydrogen possible bond to? Helium? Nope, helium is inert. Oxygen? There is apparently very little oxygen. Many events in the past would have ignited the planet. The globularists saying that the sun is a ball of gas say that this ball of gas burns with hydrogen and helium. But that doesn't happen with Neptune? What would the hydrogen have reacted with? Using the Sun as an argument is not valid. Combustion is not what makes the sun glow. It's fusion. (Or fission. I forget which). Of course that using the sun argument is not valid : the sun is a metallic sphere, smaller than earth, with fauna on it. Nothing related to nuclear properties, otherwise we would be irradiated to death due to the very close distance of the sun with our planet. Nothing, as the Neptune story is a lie, there is no hydrogen, neither is there a planet. That's not a valid answer. You claimed a planet could not have mainly hydrogen and helium as an atmosphere because it would have burned up. You need to back that up. I have nothing to back up for a fairytale, sorry. Then it would be helpful for you not to give fairy-tales as explanations. As it stands, it is possible for a planet to have mainly hydrogen and helium as an atmosphere. I apologize; I figured that since the central question of this thread concerned the planets, not the planets and little blobs of blue light, that James was arguing that Neptune doesn't exist as a planet. Neptune's historical origins suggest that he is indeed correct that if we assume the existence of a Conspiracy, the notion of Neptune as a planet may well be part of the hoax. I took his post to mean that he didn't think it existed, because he said it didn't exist, but if what you take it as is the consensus, fine. I have no idea if it is or not; I have not seen the consensus on this issue. For all I know James may very well have been saying that Neptune just doesn't exist. I believe my take is a bit more logical than that, of course. But the apology wasn't facetious. My post was. I apologise. This is Neptune, through binoculars. we're expected to throw up our hands and just BELIEVE. We don't care what you believe. You haven't studied science? Then your belief means nothing. I've had enough debates against creationists throughout my life. A creationist's ignorance of scientific reasoning is directly due to your blinding faith. 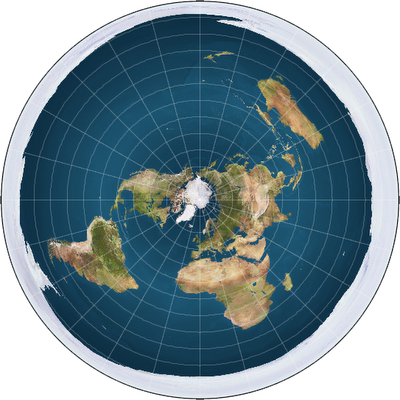 By the way, does the Quran actually say the Earth is flat or did you just squeeze that meaning out of some verses? Abraham said, "Indeed, Allah brings up the sun from the east, so bring it up from the west." So the disbeliever was overwhelmed [by astonishment], and Allah does not guide the wrongdoing people. first Pluto, now Neptune isnt a planet either? Why does Neptune get downgraded? We know Mercury, Venus and Mars are because we can see there phases. What are Jupiter and Saturn? Those are but f few out of the thousands of credible scientists that think otherwise. And don't take the bible or Quran or any other scripture literally. I'm not religious myself, my parents turned me Christian at a young age but I quickly saw through its nonsense. Anyway, if religion makes you a better person, that's great! But other than that, don't use religion as a substitute for science, it will never match up. Religion is the science for the feeble minded. Among other problems this requires a Conspiracy that predates NASA by over a hundred years. Puttah I feel like you are going to break soon. You will soon turn back to the religion of your parents. You will see some of the lies of science for what they are. It will be a big relief for your mind, God is going to bless you. If by break you mean get hit in the head, then yes. This is precisely the sort of fallacious scientific authoritarianism which the zetetic movement rejects. Exactly the same argument was used by authorities in the middle ages to corroborate the existence of witches. If you didn't believe in witches, but hadn't taken a course of Witch studies, your scepticism was considered worthless by men in power who were in fact utterly wrong, just as wrong as those powermongers who now pretend the Earth is a ball. yes i belive in witches existence. witches have been exist since pharaouh era. if you atheist (doesnt believe for God existence) then you make happy the conspiracy and the conspiracy feels succeed to mislead human kind. because one of the conspiracys is eliminate religion. I know that it is true that witches exist, I was just trying to think of a good example for a globularist witch-unbeliever such as Puttah. Since he does presumably not believe in witches, I thought it was a good way of example, but I did not mean it to express my own views, which are epistemically witch-rich and zetetic. If you didn't believe in witches, but hadn't taken a course of Witch studies, your scepticism was considered worthless by men in power who were in fact utterly wrong, just as wrong as those powermongers who now pretend the Earth is a ball. You just made a claim, then a fellow FEer rejected that claim, and now you're defending yourself as though maserati misinterpreted what you said. I'm guessing you're also in the FE bandwagon just because you want to support their beliefs as well. You quite clearly just want to be a part of the black sheep herd. On the contrary, those who believe in witches in the current age go against the grain of contemporary understanding. I am an intellectual radical. I saw it merely as an adaptation of the common figure of speech, "witch hunt", which is relevant in context even though James's beliefs do indeed feature said occultists. Please don't get me started on witches. An FE'er is just becoming a term to describe someone that likes to debate for every possibly absurd theory that can exist. I shall dub the term "Devil's Advocate".